There is growing evidence that Yoga is an effective rehabilitation tool. Medical institutions and leading health organisations have tested the efficacy of Yoga in clinical trials for cancer treatment and rehabilitation, heart disease, PTSD, metabolic syndrome, addiction, asthma, arthritis, epilepsy, stroke, chronic obstructive pulmonary disease, multiple sclerosis and chronic pain syndromes including low back pain and repetitive strain injuries. In many cases, fatigue and poor sleep contribute to slow rehabilitation, and this can affect quality of life, and the body’s ability to repair itself. 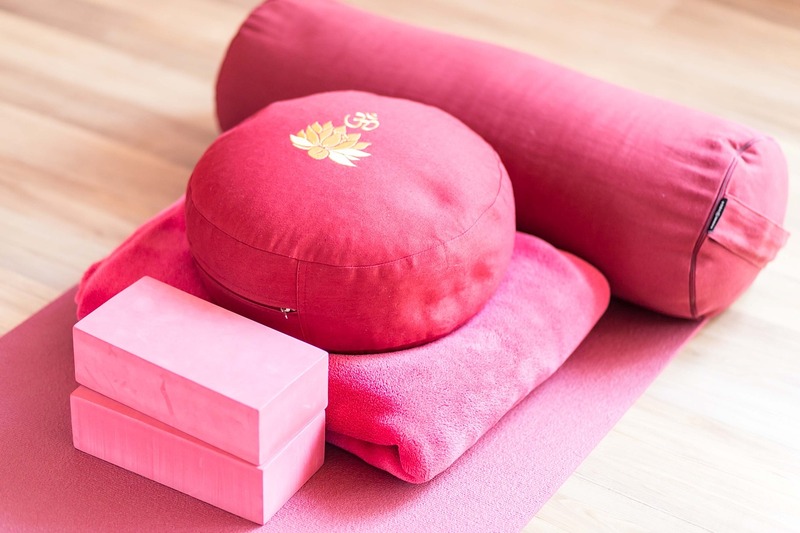 Restorative Yoga in particular has proven helpful for rehabilitation, as the practice provides a low-load, prolonged relaxation, which helps to reduce tension, improve respiratory function and help patients find much needed rest. From a yogic view, disease is created by insufficiency or blockage in life force, which creates loss of immunity, which leads to disease. From a medical view, we understand lack of immunity is often the cause of disease, as it disables the body from fighting infection or other disease-causing bacteria and viruses. Restorative Yoga is often used for disease treatment, as the various poses promote proper alignment that enable the body and muscles to release into a relaxed state instead of adding tension to them. As the body rests, natural, healing and relaxation responses are established. Restorative yoga may elicit healing and well being in a holistic approach to medicine and preventative healthcare. Many clinical trials have shown the biochemical benefits of yoga, and indicated substantial decreases of glucose, sodium, cholesterol, and increases of vitamin C, total serum protein and hemoglobin. The tests have also shown significant benefit in respiratory and blood pressure dysfunctions, stabilising nervous system, gastrointestinal and endocrine function, boosting energy, increasing immunity and cardiovascular efficiency, improving sleep and decreasing stress, anxiety and depression. Proper sequencing of poses can stimulate or work with specific areas, and “massage” the internal organs and glands, which can help prevent disease. Muscles do not stretch and strain to hold positions in Restorative Yoga, but are able to relax, and the support created by using props allows the body to reach a state of total relaxation, and opens the body without working against gravity. The psychological benefits of Restorative Yoga can contribute to increasing somatic awareness, improved concentration, memory, attention, mood and self-acceptance. Restorative Yoga is an important addition to medical rehabilitation as an integral system that combines physiological, psychological and spiritual benefits to produce holistic wellness. nice blog! !nice explanation given to readers about yoga as medicine..